All NAKOMA homes currently listed for sale in Park City as of 04/25/2019 are shown below. You can change the search criteria at any time by pressing the 'Change Search' button below. "One of Nakoma's most beautiful and desirable, with expanded floorplan, stunning views, sunshine throughout, and perfect ski-out-in location, this home is turn-key and simply perfect. Recently redecorated and painted, this residence has the feel of a brand new home. 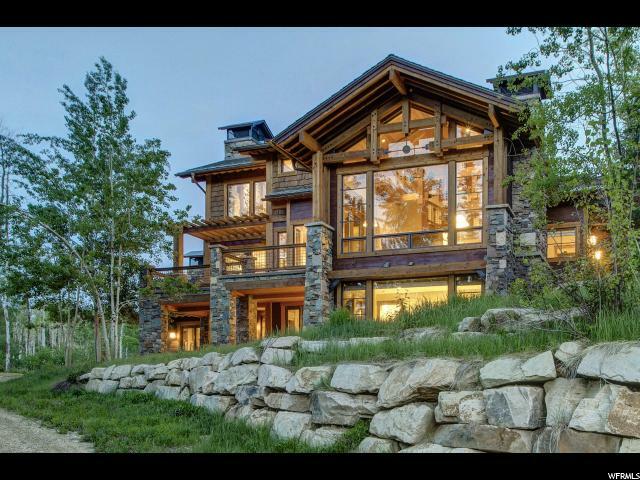 Offering 5 bedrooms, 5 baths, amazing living/family/dining/kitchen open areas, extraordinary decks looking toward Deer Valley's Lady Morgan ski runs and Park City Ski Resort, plenty of room to entertain family and friends. This home has it all! With only 17 exquisite homes designed by Architect Jack Thomas, Nakoma is the only community on the Northwest side of Marsac Avenue, offering privacy, exclusivity, stunning trees and views and a sense of being away from it all. "